As we’re in the business of helping our customers with both idea and innovation management, we get to discuss these topics quite extensively. Many people see these topics as quite fuzzy and some even use the two terms interchangeably. This does at times lead to practical challenges for organizations that are looking to make more innovation happen. 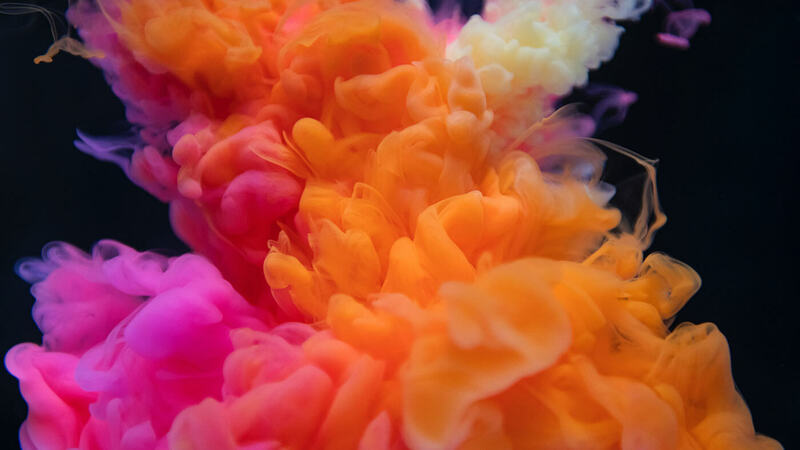 As more than 80% of executives consider innovation to be very important for the future of their organization, both idea and innovation management are clearly crucial concepts for the long-term success of any organization. We’ve previously written quite an extensive article on innovation management and are now looking to add to it with an equally thorough – yet practical – explanation of idea management. Once you’ve read this post, you should have a clear overview of the topic and new insights on how to improve your idea management and innovation performance in practice. Why is idea management important? Measuring idea management: which KPIs should you use? In essence, idea management can be defined as systematically managing the process of collecting and developing ideas and insights to get the most out of them. 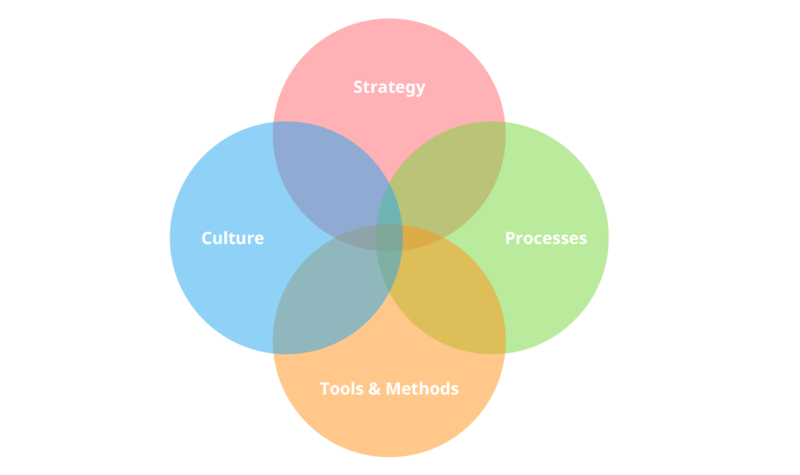 In practice, we typically consider idea management to be formed of four distinct but overlapping areas: Strategy, Processes, Tools & Methods, as well as Culture. To succeed in idea management, an organization has to consider and address all of these areas in a way that is aligned with the goals and capabilities of the organization. Each of these areas will be discussed later on. 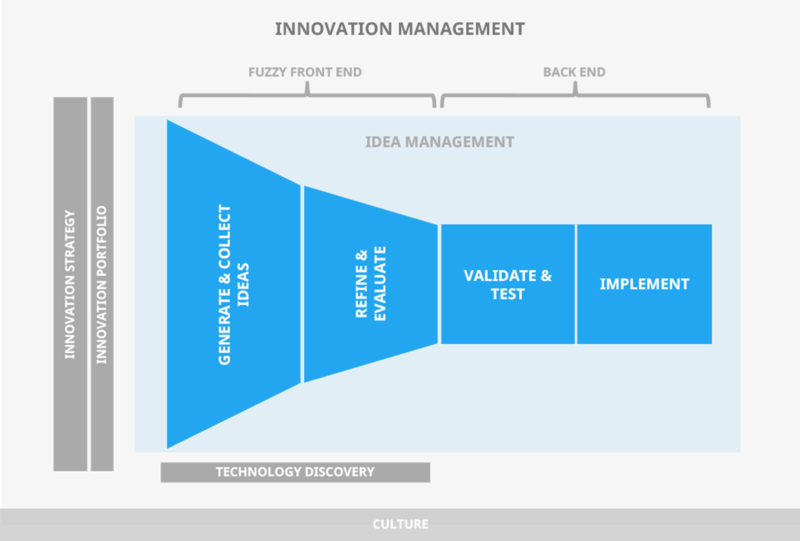 However, let’s first take a look at where idea management lies in the bigger picture of innovation management. As we’ve previously explained, innovation management refers to the systematic management of introducing anything new for the organization. As such, it’s a vast field encompassing a wide variety of activities. Idea management is simply one of those activities. If we look at a map of innovation management activities in the image below (which is illustrative, but not necessarily complete), we can see that idea management is one of the core activities there. While idea management is an important part of the puzzle at the heart of innovation management, it will take much more to succeed in innovation than just doing idea management well. For more on these aspects, you can take a look at our guide on innovation management. Let’s now shift our focus on better understanding the role of idea management in practice. Every innovation starts from an idea, so without them, there won’t be innovation. What’s more, the statistics indicate that most organizations fail in the majority of their innovation attempts. So, for an organization to increase the probability of succeeding in innovation, it simply makes sense to try to collect, manage and develop a large number of different ideas. However, most organizations are only able to implement a small percentage of the ideas they have, so they should naturally also seek to improve their capability to turn those ideas into something useful. Many of these challenges are often quite straightforward to solve by simply taking a systematic approach to addressing them. However, even if you are able to improve the ratio by fixing some of these challenges, you’ll still end up with more ideas than you can ever implement. Thus, every company has to prioritize ideas. Having a “first-come, first-serve” principle or simply relying on gut instinct are highly unlikely to lead to great results at scale. So, unless addressed, the aforementioned challenges can wreak havoc on an organizations ability to make progress. This highlights the need for having a systematic and well-led approach to ideation and idea management. Just like any other part of a business, idea management needs a strategy too. An idea management strategy is simply put an extension of the organization’s innovation strategy. Its purpose is to serve as a high-level plan for achieving the ideation related goals defined in the innovation strategy. 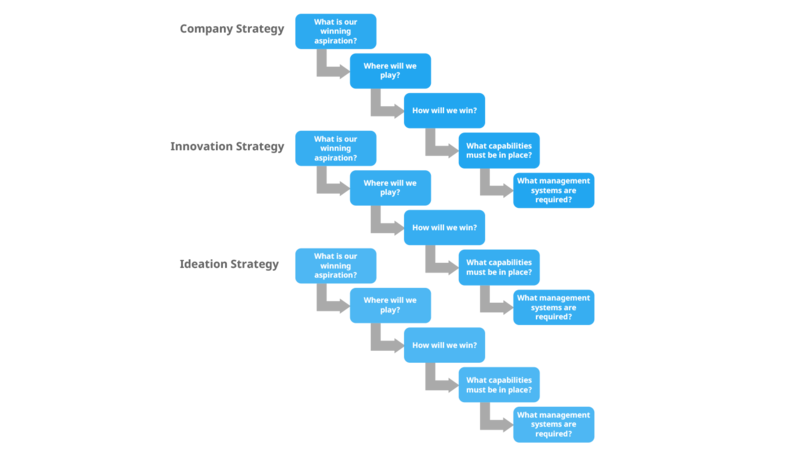 It’s been shown that aligning innovation strategy and the larger business strategy of the organization is crucial for the success of innovation work. The same applies for idea management and innovation strategies. The trick to succeed is to consider these different levels of strategies as a series of interconnected and cascading choices that affect one another in each direction. Thus, if you don’t yet have an idea management strategy, you can simply reflect on your innovation strategy and consider its requirements and implications for your idea management work. For example, if your overall business strategy is focused on operational excellence, your innovation work is likely to be mostly focused on incremental innovation, as well as radical technological innovation that has the potential to impact operational efficiency significantly in the long term. In this case, you could start by developing an idea management strategy that supports these goals with two separate idea management processes. 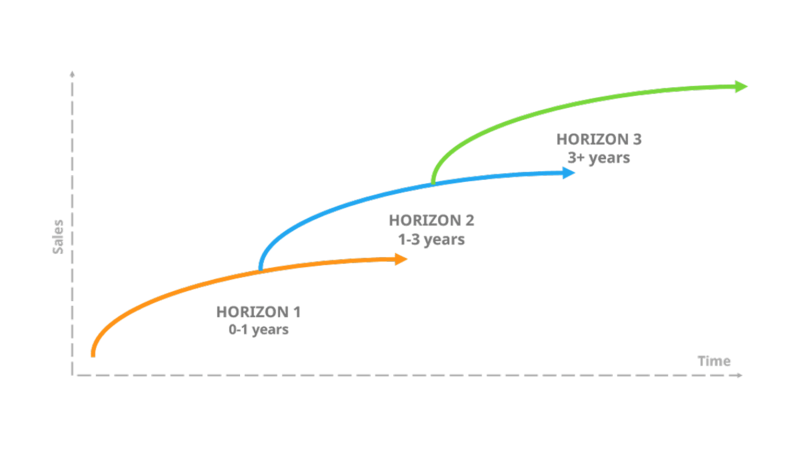 One for continuously collecting ideas on making gradual improvements operational effectiveness, and another that is focused on identifying and progressing radical technological innovations, for example with idea challenges. While you most certainly can (and should) seek to increase the number of ideas you are successfully able to implement and create value from, many of the ideas will inevitably fail to live up to their promise. When there’s plenty of risk and uncertainty in a given field, such as with idea management and innovation, it’s usually recommended to try to reduce that risk by using a portfolio approach, just as investors and venture capitalists do. When you build a diverse portfolio of assets, in this case ideas, it no longer matters if a few of those assets eventually prove to be worthless. This approach not only dramatically reduces risk but can also make your performance more predictable. The overall reduced risk and improved predictability, in turn, allow you to make strategic investments in individual ideas that are riskier, but have a much larger upside in the future. To build a portfolio that makes sense for your organization, you should take into account your strategic goals, the time horizons of different kinds of ideas, as well as their risk profiles, and make sure they all match the expectations of your organization. We’ve written about this in more detail in one of our previous posts. As mentioned before, having systematic and well-led idea management processes is crucial for the long-term success of ideation work. Having a process for managing the ideas helps you make decisions consistent with your goals and strategy, introduce clear responsibilities that will hold people accountable for progress, as well as create a set of common rules that make the process transparent and understandable for everyone. The beauty of a systematically measured process is that you’ll be able to identify bottlenecks, as well as opportunities for improvement, that help you perform better down the road. For example, you might have tons of ideas but if none of them fits your strategic goals, you’ll see that none of them will pass a review. If this is the case, you might want to revisit your goals and communicate them more clearly. On the other hand, if you have plenty of promising ideas but not enough resources to implement them, you might want to allocate more resources for that. 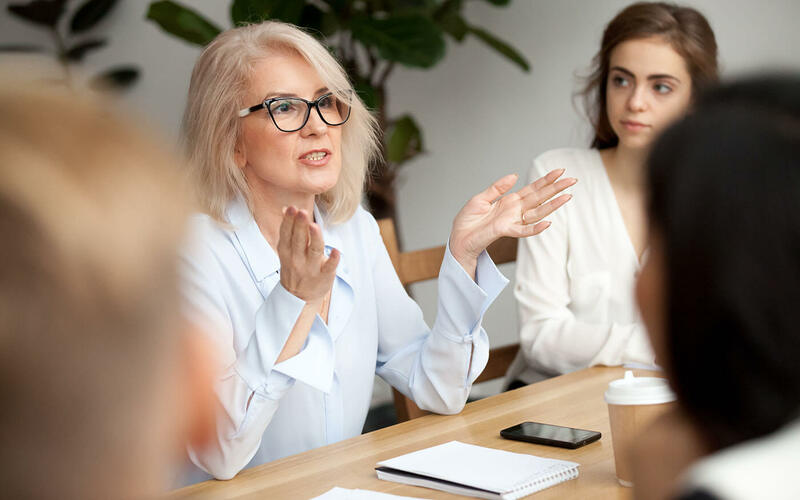 Or even if you have the resources, you might still fail in successfully implementing them, in which case you might need to put more emphasis on upgrading the level of talent in your team. These examples might sound obvious, but without the right process, these challenges can be notoriously difficult to pinpoint, let alone fix. With a solid process, you’ll not only be able to do that, but you’ll also have the data to prioritize between these challenges, and to make sound decisions on where to invest in the future. All idea management processes have a number of things in common: ideas are collected, they’ll somehow be discussed, refined and evaluated, and decisions will then be made on which ones to implement. Just like the ideas themselves, idea management processes can be very different. We thus typically categorize idea management processes along two dimensions. 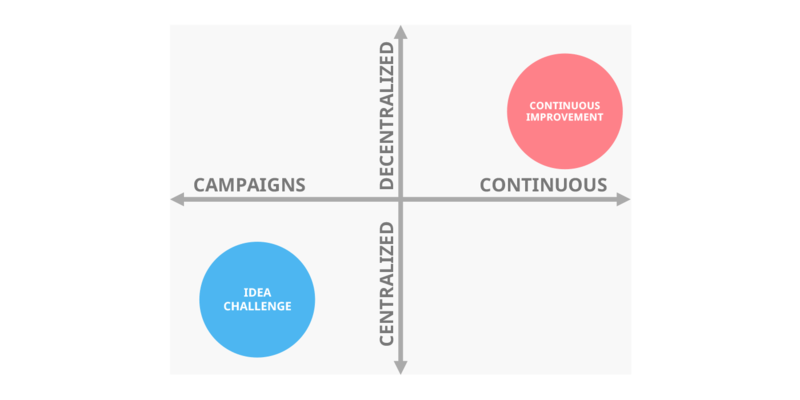 In our experience, most organizations find it easier to start their systematic idea management work with limited-time campaigns, most commonly idea challenges. This allows them to experiment, gather experience and iterate their tools and ways of working, as well as to drive real business results quickly. These are all important factors that help drive and consolidate change within the organization, which should always be a key consideration when introducing something new to an existing organization. Idea challenges are also a great way to address a specific key challenge or come up with ways to reach a certain goal. However, the majority of business benefits for our customers typically come from continuous idea management processes. This is ongoing work that the organization runs with the purpose of achieving their strategic goals. For some, this might mean focusing on constantly making incremental changes to improve customer satisfaction. For others, it might be about the search of completely new business opportunities that the organization could pursue to grow their business and disrupt their competitors. Many small and some medium-sized organizations might be able to use a single centralized idea management process that spans the entire organization. Some organizations find it better to run a decentralized idea management process where each team or business unit gets to manage their own ideas. However, a single idea management process won’t simply work for most medium and large organizations as their ideation needs are so diverse. 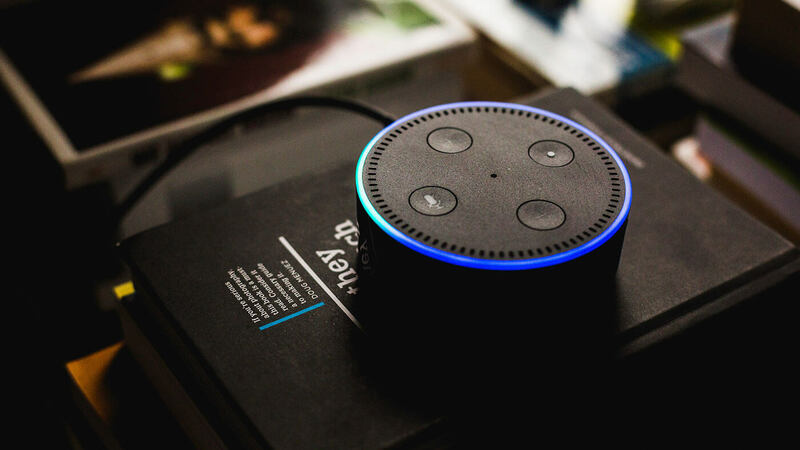 They typically want to run both continuous processes and limited-time campaigns across multiple different levels of the company and a wide variety of business units or teams. Their approach of having multiple different processes can be called the hybrid model. As with any business activity, idea management too, will benefit from systematic measurement. Simply put, if you don’t measure your idea management activities, you’re just “flying blind” and hoping for the best. Some people argue that ideation is such a creative and eccentric endeavor that measuring won’t help improve it. They consider it to be more of an art than a science. While there’s certainly some truth to this, the point isn’t so much to measure individual ideas, or the skills of the ideators. Just like the performance of an individual stock in your investment portfolio doesn’t tell much about your skills as an investor, neither does the success of an individual ideator or idea for your ideation performance as an organization. What you should do instead, is to take a systemic approach and focus on measuring your ideation portfolio and idea management process. Measuring your ideation portfolio allows you to know where you are, and to which direction you’re moving. 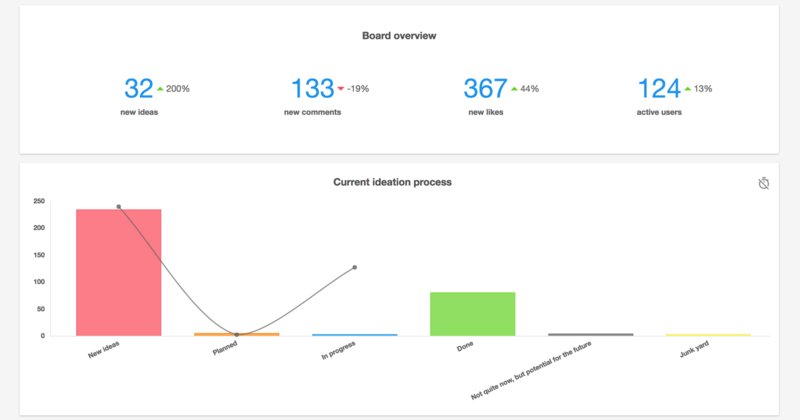 Measuring your idea management process allows you to know why you’re there and how to improve going forward. What is our current performance? Which parts of the portfolio (=which kinds of ideas) are performing, and which ones aren’t? You should typically use the financial returns (new revenue, profit or cost savings) from the ideas as the primary KPIs or metrics for answering these questions. However, this isn’t always possible or straightforward. For example, if the ideas are new business opportunities, it can take years for the financial returns to realize. In these cases, you can substitute the actual financial returns for metrics such as business potential and the odds of reaching that potential. While measuring the overall performance of the ideation portfolio is important, it doesn’t necessarily help you to understand why you’re where you are, or how to improve your performance. Which parts of the process are we good at? Where are our biggest bottlenecks? To achieve this, you should look at the number of ideas in each stage of the process and see where they’re being discarded, or where they seem to be stuck for extended periods of time. In other words, you should seek to measure the ideation funnel and the related cycle times. 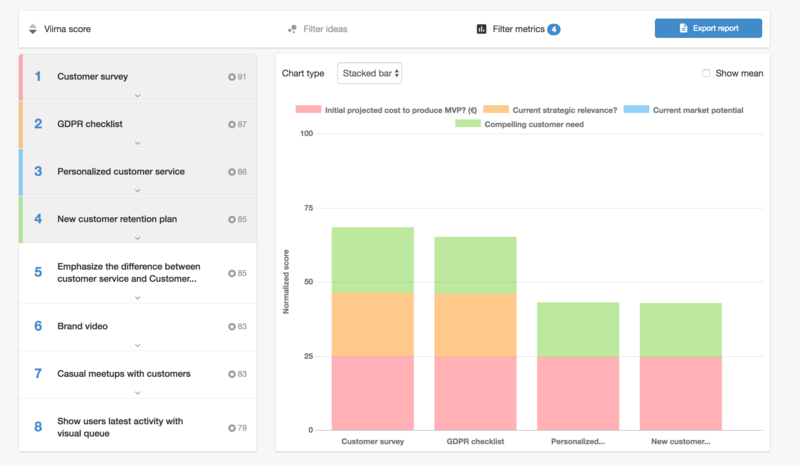 If you use a good idea management software to collect and manage this data, coming up with the answers to all of the questions mentioned above is actually pretty easy. Now that we have a good idea of what idea management is, it’s a good time to look at each of the steps that together make up idea management. We’ve written quite extensively on each of these topics, so we’ll keep this section focused on sharing some of the most important things to consider for succeeding in each of the steps. Let’s say you need more ideas. What do you do? The odds are that you’d run a brainstorming session. It has, however, been shown that brainstorming not only takes more time and leads to less ideas, but also worse ideas than if the same participants had just tried to come up with ideas by themselves. What’s more, scheduling, organizing and documenting the session in a usable format will all take up even more time. There are naturally certain ways to improve brainstorming performance, but that’s beyond the point. The point is that you shouldn’t automatically default to brainstorming. The goals should define the method, not the other way around. There are other, typically more effective, ways to generate and collect ideas than brainstorming. Try, for example, to run an idea challenge with an online tool next time you need to generate more ideas. Especially the latter can often be seen as an insurmountable challenge. In reality it’s quite straightforward, it just typically takes some time and persistence to implement. Evaluating ideas, together with prioritizing them, is one of the most challenging aspects of idea management, but without a doubt an important one. According to the 2018 Global Innovation 1000 study, up to 70% of the total costs are locked in at the ideation and project selection phases. 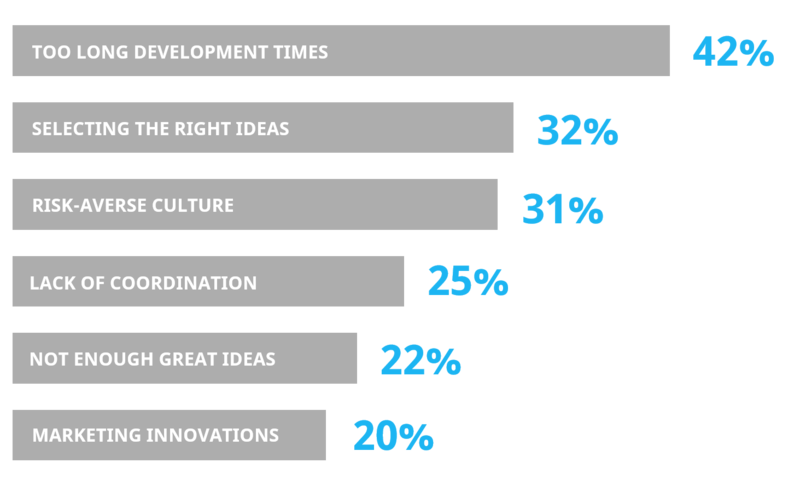 Furthermore, according to the BCG 2015 Global Innovation Survey, selecting the right ideas to implement is the second most common challenge organizations face in their innovation work (after too long development times). This is because there’s an infinite amount of different kinds of ideas and it isn’t exactly trivial to be able to know a good idea from a bad one, as I’ve previously explained. As such, it’s quite challenging to share rules for evaluating ideas that would be generally applicable. The key to success here is to understand the differences and act accordingly. You need to take a look at your strategic priorities and the kind of ideas (incremental or more radical/disruptive) that you're collecting. Once you know this, you are ready to choose criteria to rate the ideas with. Having a consistent set of evaluation criteria is important to avoid biases, but also to help your team understand what is important and what it is that you’re actually looking for. For example, if our strategic goal is to increase our customer satisfaction, the ideas are going to be mostly incremental, which means that it's possible for us to use quite practical metrics. In our case, these could be the reduction in customer incidents, the increase in customer satisfaction (for example via NPS) and the cost/effort to implement. Once the ideas have been rated on these metrics, it's quite easy to turn the evaluations into scores and to use those to help prioritize the ideas. Even though evaluation and prioritization are keys for sifting through a large mass of ideas, even the best assessments are often just educated guesses and thus likely to be wrong. The only way to combat this uncertainty is to actually test the ideas in real life. You could go ahead and implement the full idea and see how it does. However, if the idea in question is complicated or big, this might take a lot of time and money. And nothing is costlier than using all of your time and money on something that will inevitably prove useless instead of working on something that actually drives real progress. Thus, if there’s a lot of uncertainty and risk involved, the sooner you learn that your idea doesn’t work, the better. This allows you to focus your efforts on the ideas that could actually make an impact. The sooner you learn that an idea doesn’t work, the better. What’s more, you can use the lessons learnt to come up with new ideas, or to refine existing ideas. Thus, in many cases, it’s often preferable to test ideas with low-cost prototypes and validate the biggest assumptions and the most uncertain aspects of the ideas instead of outright building them. This is a practice used by virtually all of the most innovative companies, such as Amazon, out there. On the other hand, if you don’t have the capability to easily run hundreds of simultaneous tests like Facebook, you shouldn’t go ahead and try to test everything, but should instead use experiments strategically. In that case, you can get started by launching a lightweight program, for example with the help of Adobe Kickbox, to validate the most promising ideas. If evaluating ideas is hard due to the different natures they might have, the challenge only gets bigger when it comes time to actually implement them. This is why the final stage of an idea’s journey, implementing it, is often left outside the scope of idea management. However, at least in our experience, this is a mistake. While ideas are usually implemented by people other than the ideators and reviewers, it still is an inseparable part of the idea management process. Furthermore, the implementation of the idea is without a doubt the most impactful part of the process. According to the aforementioned BCG 2015 Global Innovation Survey, three out of the top six challenges for innovation are related to the organization’s ability to implement their ideas. Too long development times is actually the single biggest challenge by quite a large margin. So, getting implementation right will certainly have a tremendous impact on the innovation performance of an organization. As with some of the other aspects of idea management, the best way to achieve this depends on your organization and the nature of the ideas in question. 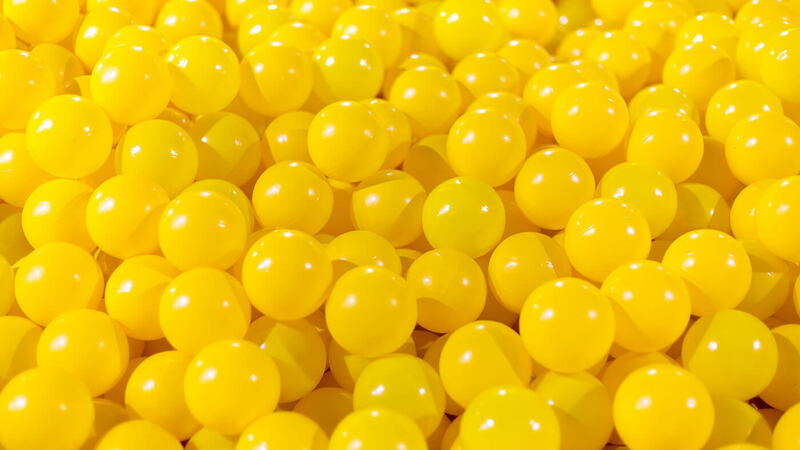 As a general rule of thumb, it typically makes sense to implement incremental or sustaining ideas in existing business units whereas the more disruptive ideas often require independent units. The rationale, popularized by Clayton Christensen in The Innovator’s Dilemma, is that disruptive innovations are simply incompatible with many of the existing processes and ways of working and trying to combine the two typically only results in an endless stream of compromises that weaken both the existing business, as well as the potential of the new innovation. In addition to this division, you should also ensure that you have the right talent and enough resources for the implementation. As idea management is at the heart of an organization’s innovation activities, it plays a big role in how effectively the organization is able to drive future results. The 2018 Global Innovation 1000 study found that only the most successful organizations are simultaneously able to integrate all of these factors in their day-to-day operating practices. This certainly isn’t easy, but it is what you should strive for. Here the right idea management software can be tremendously helpful. The right software helps you to link all of these activities together, as well as helps you get better and improve the way you run your process. If you don’t yet have one, you can sign up for Viima and use it with up to 50 users for free. Getting started takes just minutes.